Hey there, winner! Look out for an e-mail from me telling you how to get your Say It with Style gift card! Also ... everyone's a winner today, because Jessica is giving all my readers 25% OFF anything in her Etsy store! Suh-WEET. Just enter the code momtheintern at checkout! 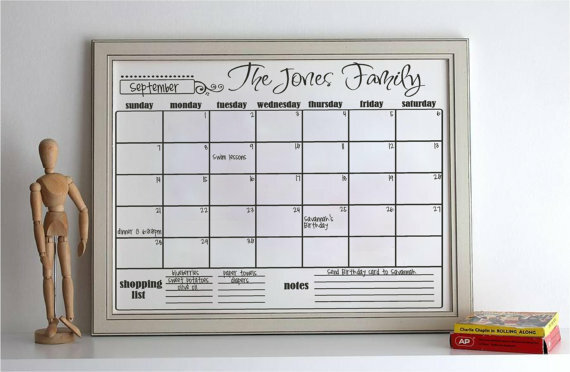 I highly suggest you pick up one of these awesome erasable wall calendars because I've definitely put mine to good use. Thank you for reading my blog! I sure do love y'all! I'm so bad ;)! I got myself that cute calendar. Thanks for the discount!